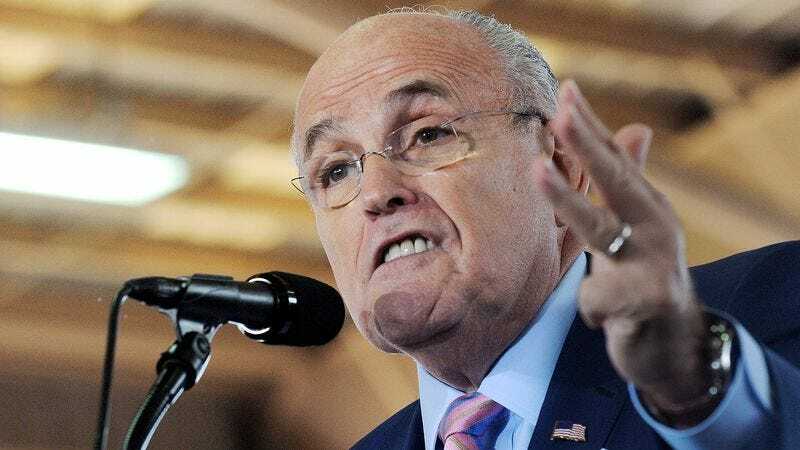 NEW YORK—Every recounting including more devastation than the last, sources reported Monday that former New York City Mayor Rudy Giuliani has added more planes and towers with each subsequent retelling of the events of 9/11. “When the 90th plane hit Tower 477, I knew I was dealing with something this country had never seen before,” said Giuliani, growing teary-eyed as he described surveying the charred ruins of the Ground Zero sites that extended the entire length of Manhattan. “At that time, I didn’t know who exactly we were up against, only that every single skyscraper in New York, including several in Brooklyn and Queens, had been destroyed and that it would be my job to lead this city under unimaginable circumstances. I’d like to think there’s a reason everybody calls me ‘America’s Mayor’ to this very day.” Giuliani went on to say that he’d also heard something about an attack on the Pentagon but remained hazy on the details.